Just some window shopping as I watch the Bachelorette. We are going to our In Laws beach house next month for a week and naturally I feel like I need some new threads to pack. I mean, who likes going on vacation with wash worn and spit up stained clothes? It appears I have a color palette in mind for the week! 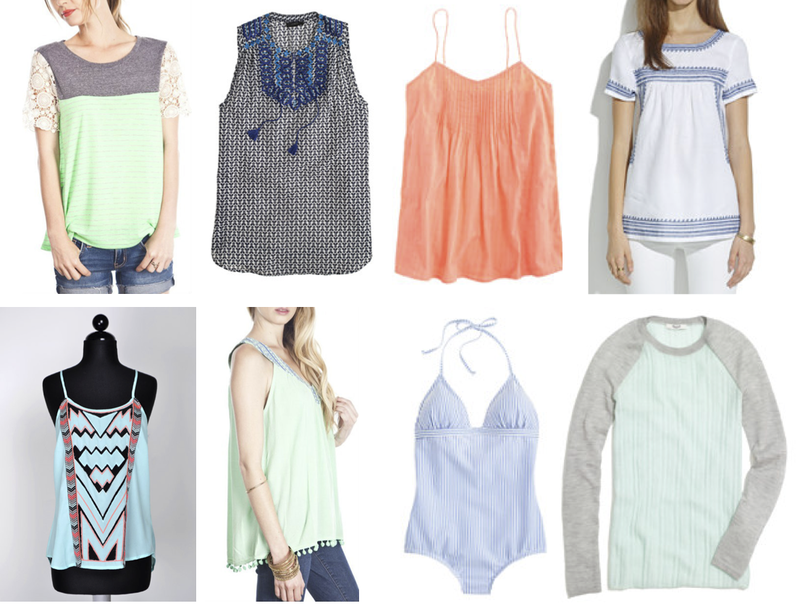 I have been watching that linen Madewell top for weeks now waiting for it to go on sale! What did moms do before online shopping? Fourth of July Link Up - Update!